Colour selections | House by the water. This page is where you’ll find my selections of tiles, bench tops, laminate surfaces, paint, etc., room by room. Creating this page has made me nervous. Selections that I felt confident about in the showrooms in natural light, I am not happy with on my computer, but I’m going to trust my eyes instead of my screen. I’ve added links to make it easier to find more information about each room. Vegetable garden: Old railway sleepers? 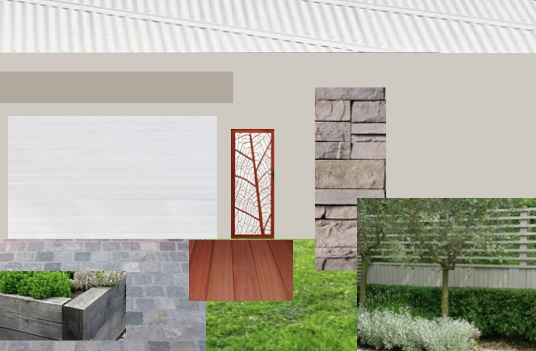 Related links: Exterior Colours, Making an Entrance and the Front Fence. Interior paint selections will be made when the house is nearing completion, using sample pots of colour, painted onto movable boards. (Thank you “M” for that tip!) For the purposes of this exercise, I’ve used Solver’s “feather dawn”. Splash back tile: Masia gris clark, with grey grout, $96/sqm. Caesarstone bench top: Alpine Mist. 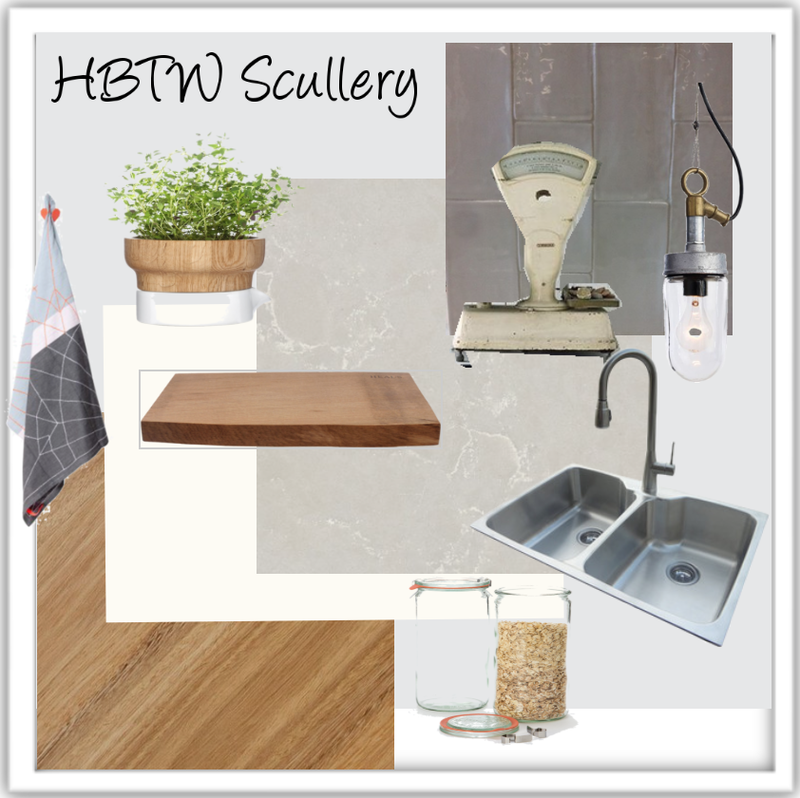 Related Links: Kitchen Colours, Scullery, Splashback and The splashback is back. Floor tile: Harlem Heifer, semi polished. $52/sqm. Edit: discontinued. Replaced with similar tile. Related links: Laundry Colours and Tiles That Floor Me. 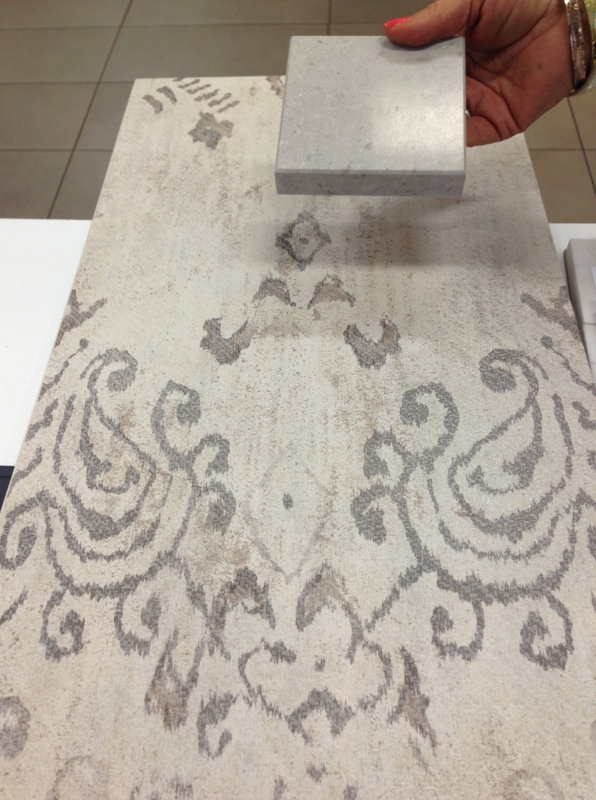 Double checking how the floor tile and Caesarstone bench top look together. Wall tile: Off white (not shown). $52/sqm. Related links: Ensuite colour plan. Floor tile: Archstone Chelsea, rectified. 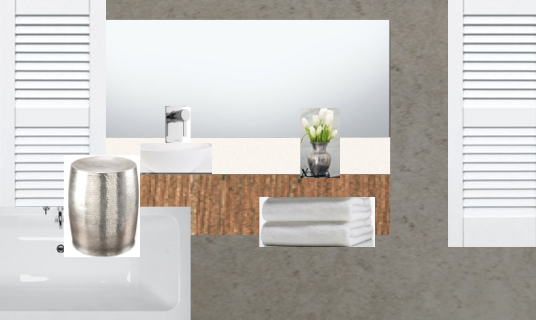 Wall tile: Casa white, polished. $52/sqm. Cabinets: Classic white (polytec), with Select Beech Laminex feature. Pingback: Colour selections summary | House by the water. It really doesn’t look pink to me. I’m very impressed by your colour coding. Beginning to think I need to start doing something similar. Thanks for the tip Katie. I did consider grey grout, but I liked the white better. The assistant in the tile shop told me that I could treat the white grout with a sealer which might help. I will review this now that you’ve mentioned it. Love it! 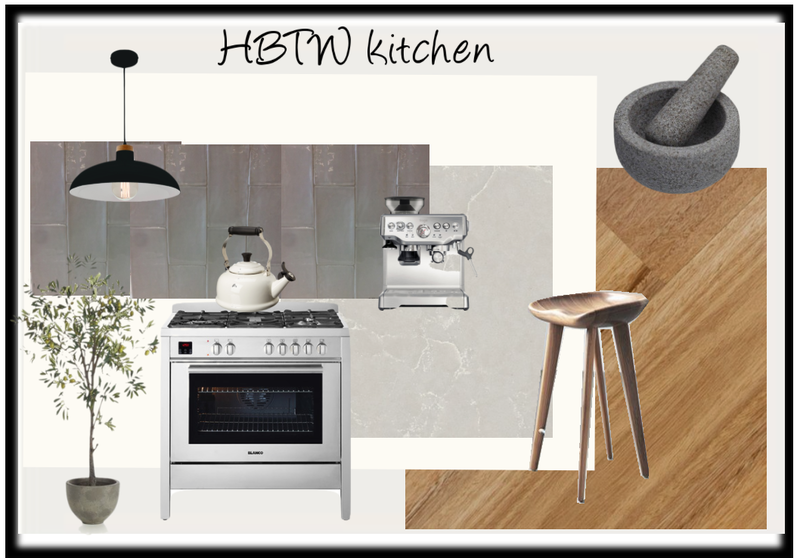 The kitchen is my favourite – love the grey tile with the caesarstone calacatta marble, and the pendants! A very calming, modern look. I’m also liking the floor tiles in the kids’ bathroom. And the Snow doesn’t look at all pink on my monitor. Thanks for the encouragement, Trixee. Pingback: Making an entrance. | House by the water. 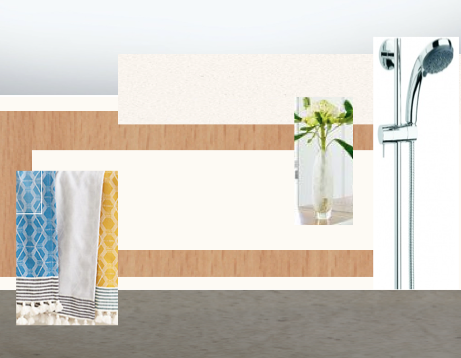 Love all your selections – great idea to use the moodboards. I’ll have to check that tool out myself, as I struggle to visualise the ‘big picture’. Re old railway sleepers for the veggie garden – have you seen these? http://www.countryearth.com/feature-paving (image 5 – they are made from concrete but are made to look like old sleepers) I’m all about the low-maintenance fakes! LOVE the subway tiles and also the Endicott driveway. I must find a way to incorporate some stone into our place. Gorgeous. I love your site and of course your plans & moodboards/colours! I’m a fan of your layout and how practical it looks. If only our lot was deep rather then wide. Oh well we deal with what we have 🙂 I’m looking forward reading more of your blog! Thank you. Your unusual block shape means your house is going to be unique, and what a fantastic back yard you will have. Pingback: Exterior colours | House by the water. Your colours are lovely, and not too different to ours. Peaceful and natural. I love the appearance of your blog too – colour and style. Well done! Mine has been going for ages and could do with a make-over to make it more visually interesting. Glad you found my blog Procrastinator! Sorry I’m slow to reply. I was on holidays when you commented. I must come and study the jetties in Wannanup next time I’m in town. Like Port Mandurah, you can accommodate sail boats. Who are you building with? I’d love to follow along with your build too. Wow Johanne! How very exciting to have your final selections locked in to place! 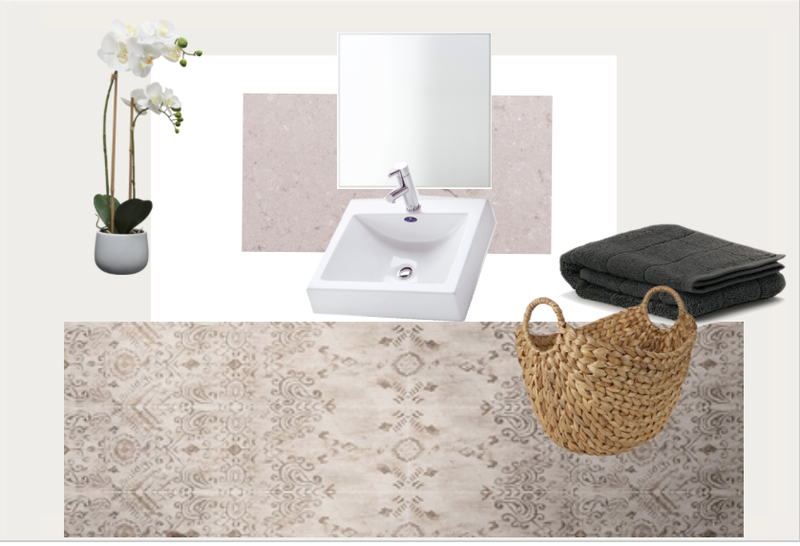 Loving all your choices but especially your powder room.. Those tiles will look amazing! We too opted for NSW blackbutt so if you wanted to see the finished product layed, feel free to come by and have a look. We receive keys this week and can not begin to tell you how thrilled we are with our home!! Before you know it, it will be your turn!! Thanks Brooke and I’m so glad to hear you are thrilled with your home. 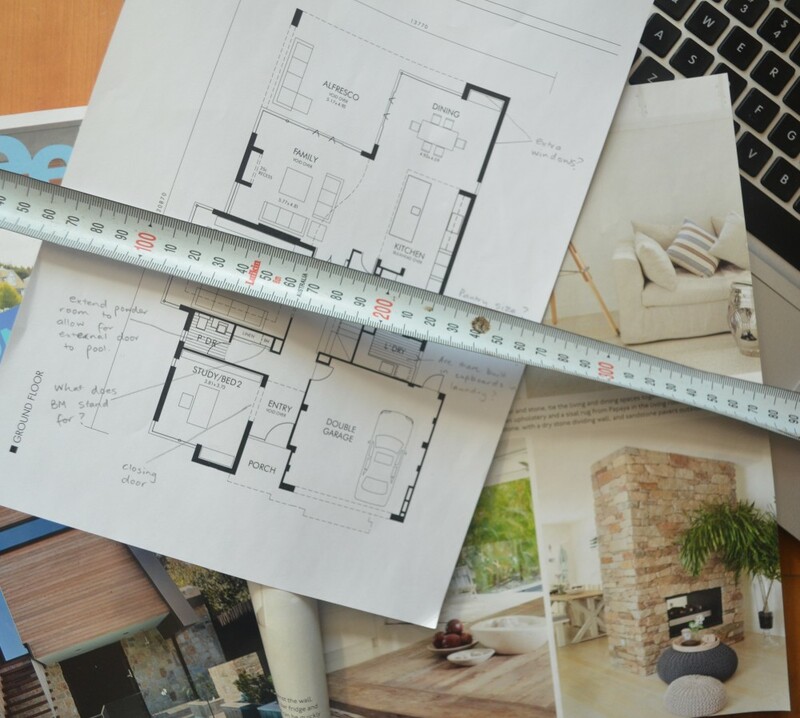 Who is laying your floors and how long due you expect it to take? We already have a preferred quote for our blackbutt but we are not locked in yet. I’d love to see your floors, but I’m in Brazil! Let me know if you have a photo I can see sometime. Congratulations on your new house. Hi Johanne – I love old railway sleepers but I’ve heard it is not a good idea for veg garden because of the chemicals it has been treated with. I have them in my little garden, and on sunny days it leaches out tar and creosote and the grass won’t grow next to it. Also nasty if you step on it by mistake – and step it into your home. The stone replica ones are probably a much better idea and they look great, I’m about to pin them too! Hi MalSannie. Nice to “see” you on my blog. I didn’t know that about railway sleepers so I’m glad you mentioned it. I’m not a fan of the stone/concrete replicas, but I did see “eco sleepers” used by the “garden angels” in a video about making veggie gardens the other day. I can’t find the link now, but they looked good. Hi Johanne, I am in love with your selections. I am just curious as to what colours you picked for the window frames and entry door? Also did you consider Colorbond Dune instead of Calf skin? Hi House by the Waterers. Just found your beautiful blog; your house is looking gorgeous. I’m vicariously picking colours through you! I love Southwards and Kitty Grey wall colours and will have one of these.. I think.. But my current dilemma is internal doors and frames. I’m thinking Solver First Snow. What do you guys have? Hi Zoe, I haven’t got my details with me now but I think our trims are called “WA white” – the builder’s standard issue from Solver. Awesome thank you – I had read about that one and promptly forgotten. Thank you so much! Hello! I love the look of the Alpine Mist and your tile choice for the splashback in the kitchen. 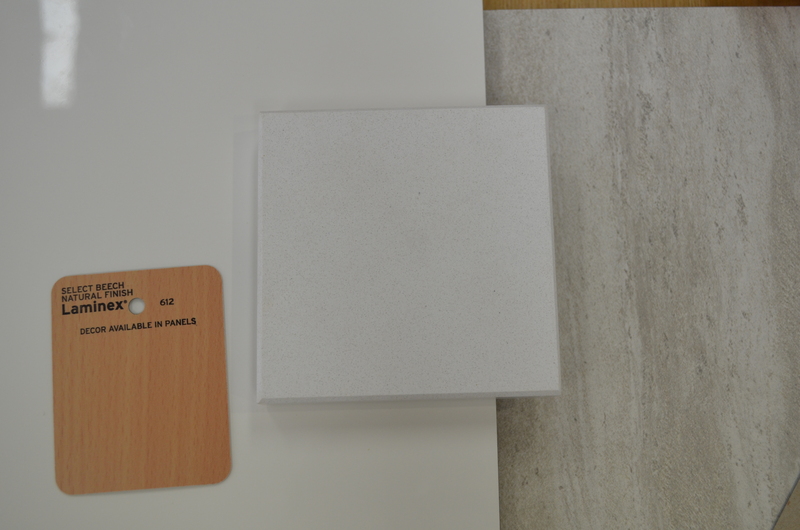 We have chosen Alpine Mist for our benchtop. 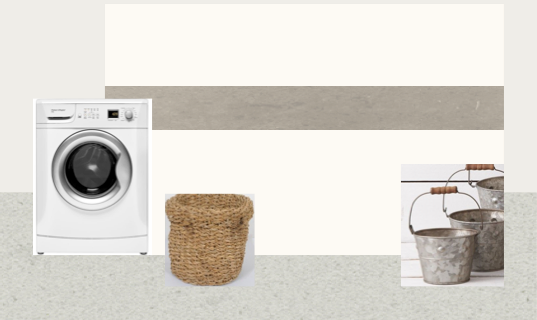 I just wanted to confirm your final tile choice was; “Masia gris clark, with grey grout”? Thanks so much for confirming! Thank you. It should say Masia Gris Claro and with grey grout.